It's never too early for a child to learn how to play chess. 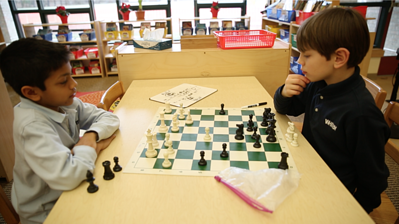 In fact, many schools these days are incorporating chess into daily learning to help children develop critical thinking skills and even increase student IQs. There are eight distinct critical thinking skills that your child can develop by playing chess on a regular basis. In its most simplistic form, chess is quite similar to a large puzzle. In order to "solve" a chess game, players must use problem-solving skills to decide which pieces they should move to yield the best results on the board. As players advance and start playing timed games, chess teaches students how to solve problems on-the-fly. In fact, one study conducted amongst school-aged children found that students who participated in chess instruction over a week-long period significantly improved their problem-solving abilities. The ability to engage in abstract reasoning is undoubtedly beneficial to any school-aged student, both in academia and beyond. Chess helps students improve their abstract reasoning skills by helping them learn to recognize patterns on the gameboard and develop strategies based on those patterns. Chess invites students to practice abstract reasoning through "if, then..." scenarios. For example, "If I move my rook here, then I can take out his bishop." Abstract reasoning skills go hand-in-hand with problem solving, making these two of the most beneficial skills gained from learning the game of chess as a child. When asked to think of situations where their children must stay calm under pressure, most parents tend to think of athletics. While sports may have more dramatic moments, a child might be asked to take a game-winning shot only once or twice a season (if ever). In reality, few athletic activities provide as many opportunities to remain calm under pressure as a typical game of chess. When students play games with timed moves, they must repeatedly consider their current position on the board and determine the best possible move before time runs out. Learning to stay calm while thinking through possible moves gives students the ability to make informed and thought out decisions while under pressure in real-life scenarios down the road. Looking for a summer camp in Greenwich, Connecticut with an exemplary chess program? Your child can spend this summer playing chess with the best of the best. Explore Whitby School's summer camp program. The average game of chess goes on for about 40 moves before one player emerges victorious over the other. Each of these moves must be carefully calculated, planned and executed. The slightest lapse in concentration could lose a pawn, or an overly aggressive move could lead to a checkmate for the opposing player. This careful calculation teaches children the virtue of patience. Not only must they stay focused while waiting for an opponent to take his or her turn, but they must also exercise patience by not rushing the number of moves it takes to complete the game. The same simply cannot be said of sporting events where the game is over when time runs out and an aggressive defense can often force a turnover. A chess game can last 20 minutes or several hours. Students learn chess by discovering which moves work and which ones don’t in certain scenarios. In a chess game, there's almost always a winner and students will quickly find that they're going to lose matches from time to time. Games and activities where there's a clear-cut winner encourage students to become more sportsmanlike, when they win and when they lose. When children learn early to be good sports, it’s easier for them to overcome loss or failure later on in life. To defeat an opponent, a chess player must become a creative thinker. During each game, they need to imagine what will happen with each possible move on the board and then quickly come up with new strategies on the fly. Through chess, we learn how to analyze a situation by focusing on important factors and by eliminating distractions. We learn to devise creative solutions and put a plan into action. Learning how to use creative thinking skills in real-world scenarios helps students become better problem solvers in their everyday life. Last, but not least, students learn to recognize and respond to patterns as they gain skill at playing chess. This involves not only knowing the different move patterns each chess piece is capable of, but recognizing the potential consequences of each available move and making the right decision based on how each piece is placed on the chessboard. As students combine all the skills above as they learn to play chess, they develop their strategic thinking skills. They learn to combine problem solving, pattern recognition and creative thinking to make their moves. They discover how to be patient until just the right moment for a big move, and learn that each loss is just an opportunity to perform better the next time. Most importantly, students learn how to develop and execute a strategy. If you're serious about helping your child get ahead in academia and life, signing him or her up for a summer chess camp is a smart move. Not only will your child have fun learning a classic game, they’ll develop valuable life skills that will set them up for future success. Kurt Putnam has been coaching soccer much of his adult life after playing collegiate soccer at Loughborough University in England. Licensed with the English FA, USSF and NSCAA, developing soccer players at club and high school level, in addition to his camps, has become a lifetime passion. Giving back to the game that gave him so much is something he treats as a privilege. 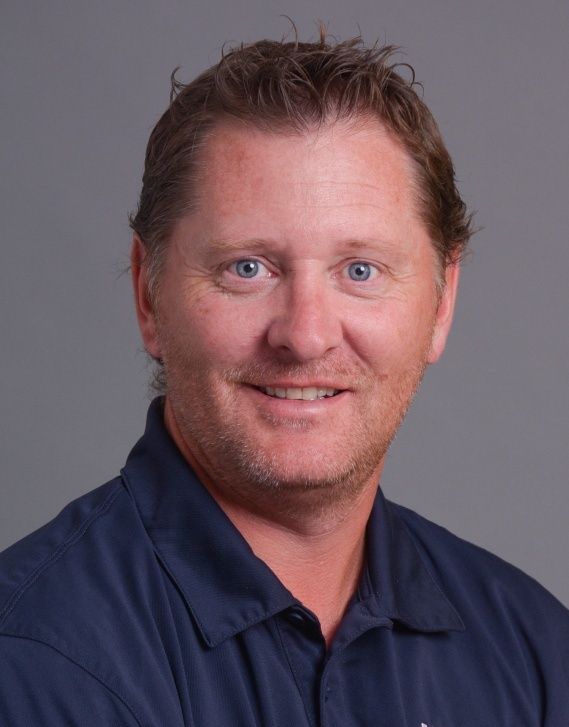 As his own children begin their athletic journeys there are many questions relating to his own experiences as a player, coach and Athletic Director that are being raised and which he hopes to share with the Whitby community.